The shooting tragedy happened in 2012. Every year without her son Dylan and his classmates who were killed at Sandy Hook Elementary School is unimaginably difficult for Nicole Hockley, but this year brought fresh pain. The shooting at Marjory Stoneman Douglas this February marked the deadliest school shooting since the one in Newtown in December 2012. “Parkland hit me and all of Sandy Hook Promise incredibly hard, as it hit the whole country,” Hockley said, referring to the gun violence prevention group she co-founded in the wake of her son’s death. The two tragedies drew instant comparisons, and they came together directly at the White House earlier this year when President Donald Trump held a listening session on gun violence the week after the Florida shooting. Hockley was seated next to Sam Zeif, a Parkland survivor who issued an emotional call to action. “Being in the room with a lot of those parents and kids -- where the grief was incredibly raw -- it was very much like looking at myself five years ago,” Hockley told ABC News last week. 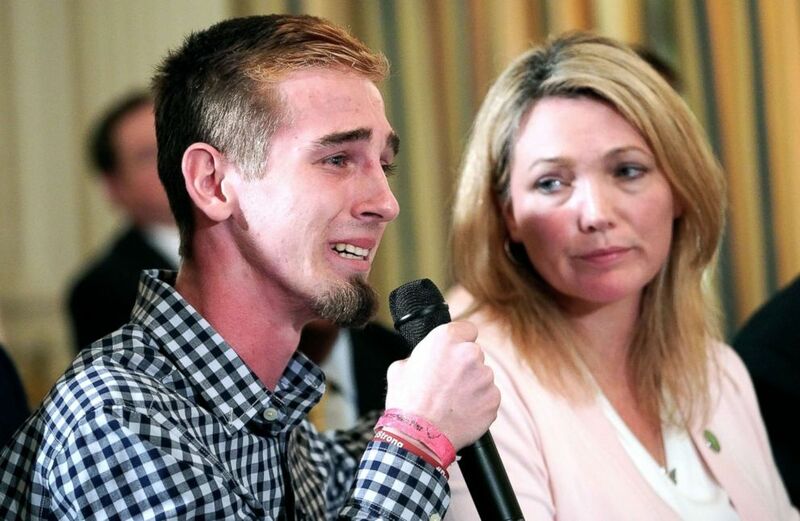 (Mandel Ngan/AFP/Getty Images) Marjory Stoneman Douglas High School shooting survivor Samuel Zeif speaks during a listening session on gun violence with President Donald Trump, teachers and students at the White House, Feb. 21, 2018. At right is Nicole Hockley, parent of a Sandy Hook shooting victim. “You really do feel like the earth isn’t balanced underneath your feet," she said. "That whole first year I felt like I was walking on a tilt." The nation's latest mass shooting was at a school. Before that, it was a church. No federal gun laws have been passed during his two terms, and gun sales are up. The list of deadly shootings continues to grow. The parallels between Sandy Hook and Parkland –- both of which are among the 10 deadliest shootings in modern U.S. history –- make for easy juxtapositions. Folks are going to find it a gut punch. It’s powerful. It’s hard-hitting. It’s real, but it absolutely emphasizes that there are warning signs. But Hockley says that the wounds re-emerge much more often, with every shooting. “Each shooting we take very personally because we feel it was another preventable shooting and we haven’t trained people fast enough,” Hockley said. She and Mark Barden, whose son Daniel was also killed in Newtown, founded Sandy Hook Promise to help combat school shootings as well as gun suicides and other forms of gun violence. “We know logically that we can’t reach them all, but we know in our hearts we want to,” she said. As part of that effort, the group organizes training sessions in schools and guidelines for how students, parents and teachers can know the signs of gun violence. 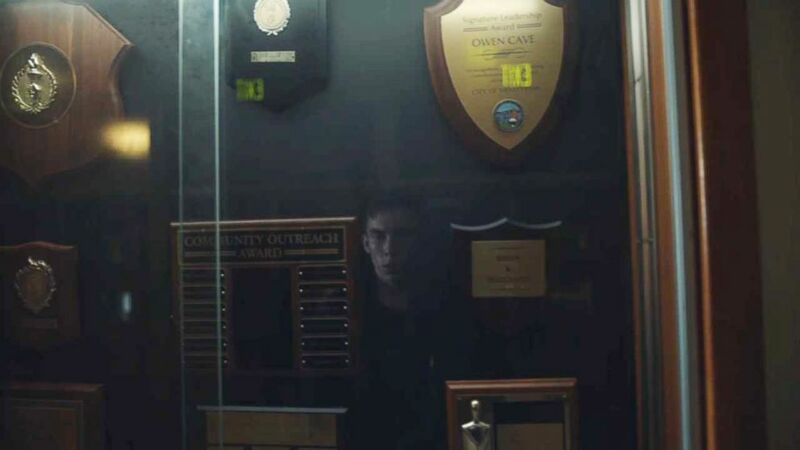 (Courtesy BBDO New York and Sandy Hook Promise) The new Sandy Hook Promise ad, a grab from which is seen here, addresses warning signs of school shooters. The ad, directed by Rupert Sanders -- best known for directing “Snow White and the Huntsman” -- uses a twist to shock the viewer at the end of a seemingly normal high school day. Barden said that the work that he and the team at Sandy Hook Promise have done helps him in the wake of Daniel’s death. “I have to keep reminding myself of all the good work we are doing, and all the mass shootings that didn’t happen because of our work and all the suicides we have prevented,” he said, noting that more than 5.5 million children and adults have received the group’s training. 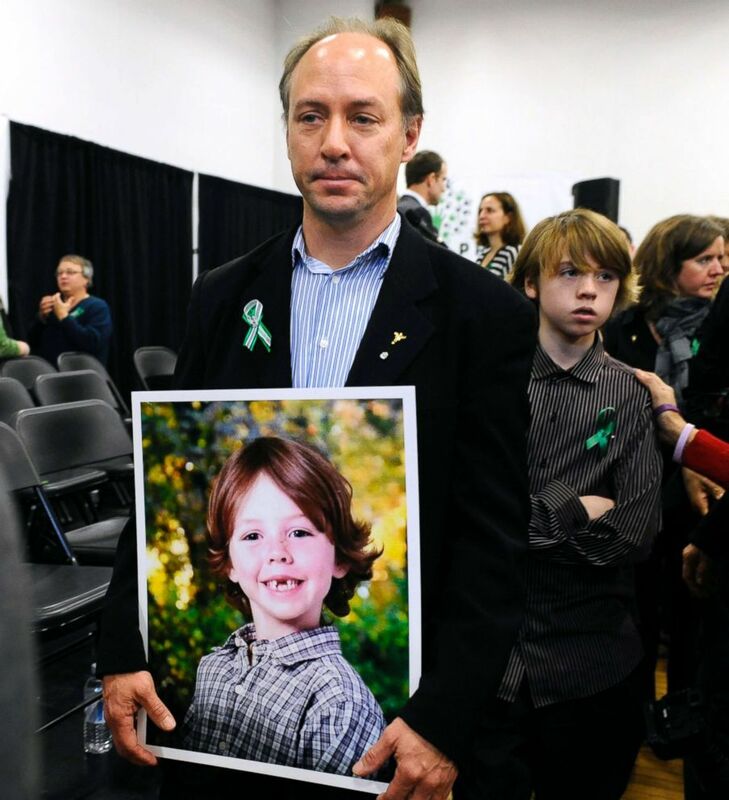 (Jessica Hill/AP, FILE) Mark Barden, father of Sandy Hook Elementary School shooting victim Daniel Barden holds a photograph of his son as he leaves a news conference at Edmond Town Hall in Newtown, Conn., Jan. 14, 2013. He doesn’t have to go far to see the reality and regularity of shootings in America impacting children, though. He sees it with his daughter. Daniel Barden was 7-years-old when he was killed at Sandy Hook, and he had two older siblings, Natalie who was 10-years-old at the time and James who was 12-years-old. You really do feel like the earth isn’t balanced underneath your feet. That whole first year I felt like I was walking on a tilt. “You can’t say ‘You’ll be okay, don’t worry,’ ... she has every right to have that concern and I don’t know what to say,” Barden told ABC News. He said he places his greatest hope in the notion that future generations won't be subject to the kind of horror and fear his own children have endured. “I do feel like, ‘Hang in there, Natalie, we’re on it.’… Natalie’s kids won’t have to worry about being shot in the movie theater or being shot at the beach,” he said. Hockley said that the group believes that gun violence prevention is a two-generation campaign, and she hopes that the invigorated students who have become vocal advocates in the wake of the Parkland shooting will help lead to massive, sweeping change. “Now that the Parkland student leaders have given voice to youth… that’s powerful, so that’s why we’re seeing more movement and more noise,” she said. “I would love for Sandy Hook Promise not to exist," she said. "My goal in life is to put this organization out of business."